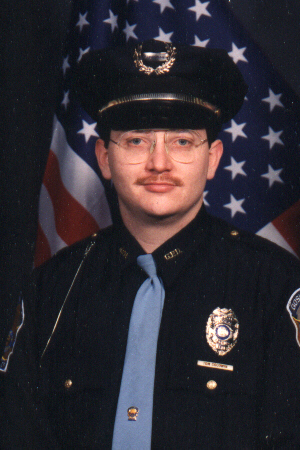 Patrolman Thomas Goodwin was shot and killed after responding to a shooting call at a mobile-home park. As Patrolman Goodwin was roping off an area as a crime scene the suspect appeared and opened fire, striking him in the head. He was transported to a local hospital where he later died. The suspect then holed up in his trailer for several hours, holding SWAT teams at bay. He was finally flushed out and arrested after tear gas was fired inside. In early 1999 the suspect was transferred to the Indiana State Mental Hospital in order to be evaluated for his ability to stand trial and on May 6, 2005 the suspect was sentenced to life in prison without parole. 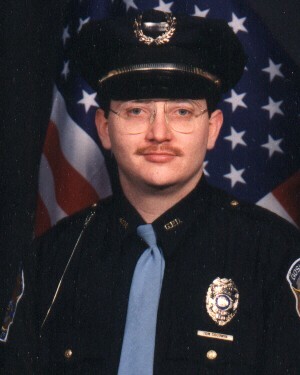 Patrolman Goodwin was a U.S. Army veteran and had served with the Goshen Police Department for eight years. He is survived by his sister.